The Aeroparque is flanked by an emblematic two-story facility featuring a terrace that provides a front-seat to airplane traffic. The long-awaited reopening of the Aeroparque facility at the Luis Muñoz Marín International Airport will take place in September, following a $1.1 million overhaul and the resolution of security issues with the Transportation Security Administration, this media outlet confirmed Thursday. The redesign of the 105,000 square-foot area — which comprises the emblematic two-story facility featuring a terrace that provides a front-seat to airplane traffic, and two parking lots — will revolve around a family-oriented concept to draw public, particularly during the weekend, said Agustín Arellano, CEO of Aerostar Puerto Rico, the airport’s operator. The Aeroparque has been closed since 2009, due in part to security concerns by the TSA following the terrorist attacks of September 11, 2001, when airport restrictions became stricter. Aerostar took over the operations of the airport four years ago in February, and picked up talks with the regulatory agency. “The work we’ve done with the TSA has been exhaustive and important. The Aeroparque had to be placed within the agency’s regulations, especially regarding compliance. Now we have it under the right conditions to think about reopening,” he said, adding that the former children’s play area has been eliminated and will be replaced with a garden. “The Aeroparque sits very close to a very busy place and security measures are above anything else,” he said. A few weeks ago, Aerostar workers were conditioning the inside of the building in preparation for the upcoming reopening. 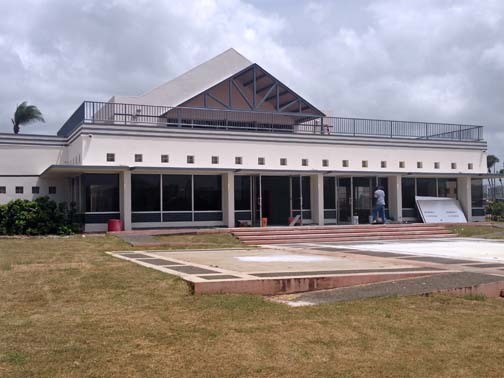 The overhaul of the Aeroparque will include a food and beverage options such as snacks, coffee and perhaps an ice cream shop. The possibility of establishing a sit-down restaurant that was floated around a few years ago has been dismissed, because of the complex nature of running it and the concern of not having enough customer traffic to sustain it, Arellano said. Although the facility will operate seven days a week, it will offer a variety of weekend activities, the executive said. 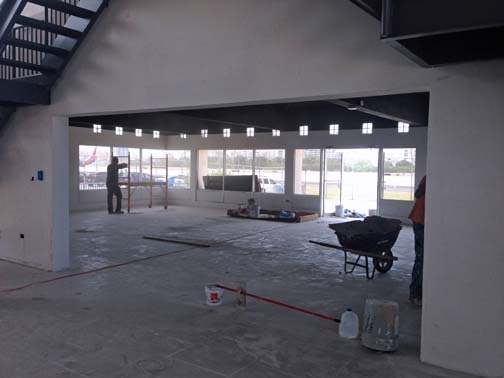 “We want to revive that special tradition that the Aeroparque offered, of bringing together parents and their children during weekends to come to the airport to see the planes arrive and take off,” Arellano said, mentioning the building’s terrace as the focal point of that activity. “The Aeroparque will once again be that recreational place to come together on the weekends,” Arellano said. Two parking areas, one that re-opened several months ago to serve as the waiting area for people picking up passengers, flank the building. Because parking in that 90-space lot is limited to 45 minutes, Arellano said a second parking area will be rehabilitated for Aeroparque visitors who plan to stay longer. As opposed to the passenger waiting area, which is free, parking in that second lot may entail a special fee, an option that is still being discussed, he said. Please advise as you open. Hey Buddy!, I found this information for you: "Aeroparque at LMM Airport to re-open in Sept. ’17". Here is the website link: https://newsismybusiness.com/aeroparque-airport-sept/. Thank you.